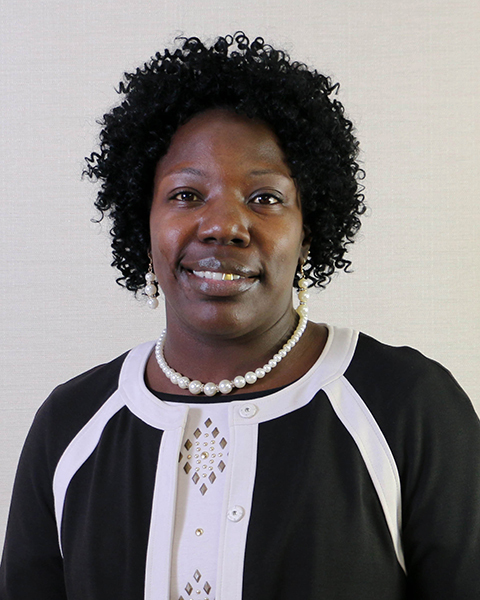 Warner Robins, Ga. – Twelve years ago, adult education student, Chereese Clayton, felt like a failure and a disappointment to her family and herself. “I dropped out of high school knowing that I would not graduate with my class of 2005. Failing math class and not having the credits needed was very depressing and I was not mature enough to deal with failure. I gave up on my education not knowing that failure was one of life’s many challenges,” she said. Now, as Central Georgia Technical College’s (CGTC) Adult Education Division’s (AED) Exceptional Adult Georgian in Literacy Education (EAGLE) delegate for 2018, she is out to prove she is overcoming those life challenges. Clayton will represent the College at the EAGLE Leadership Institute in Atlanta in March 2018. AED instructor, Ethel Ross, nominated Clayton to be the delegate. “Chereese Clayton is an outstanding, hardworking, and caring student who demonstrates leadership by encouraging and motivating her peers to complete their goals. She helps recruit students into the adult education program. Chereese attends class regularly, and her persistence and determination towards obtaining a GED® is exemplified. For these reasons, I nominated Chereese Clayton as an EAGLE delegate,” Ross said. After a local competition, a panel of judges selected Clayton to represent the College. Clayton, who is one test away from finishing her GED®, said she changed her focus for her education after becoming motivated by her children. “I knew that if I wanted to be successful and wanted my children to be successful, then I must change my focus on my life and what life had to offer,” she said, adding that she is, “gaining confidence,” in striving to better herself and that has allowed her to share her story with other students in the program. Thankful to the Adult Education staff, Clayton said the program has taught her more than she expected and has prepared her for a career. She plans to pursue Nursing as a profession and knows that with the help of CGTC she is on the path to a meaningful career. The Technical College System of Georgia (TCSG), through its office of Adult Education (OAE), sponsors the annual EAGLE Leadership Institute. CGTC named Chereese Clayton its 2018 EAGLE Delegate. This entry was posted in 2017 and tagged Adult Education, EAGLE, GED, instructors, REBOUND, student success. Bookmark the permalink.